In the backdrop of economic liberalization and financial sector reforms, a group of highly successful local entrepreneurs conceived an idea of floating Islamic banking system. For them, it was competence, excellence and consistent delivery of reliable service with superior value products based on ‘Islamic Shariah’. Lending money is the major part of a bank.The report basically focuses on General Banking Operation of Shahjalal Islami Bank Limited (SJIBL), Mitford Branch was established on 9th September, 2001 as a private company. It has been converted to commercial operation in accordance with interest free Islamic Shariah based commercial bank on that day. More over this report will help me to understand the culture of work in a bank. I have mentioned all the things in the report whatever I have learned and have known from my internship in the Shahjalal Islami Bank Limited, Mitford Branch. I have to prepare a report on the “General Banking Operation of Shahjalal Islami Bank Ltd.” for the partial fulfillment of the internship course of MBA program. In this report I will include the function of General Banking of Shahjalal Islami Bank Ltd., Which will easily understandable to the readers. Bank is the heart of the economics and banking is the blood circulation of country’s economic growth. Banks perform a significant role to serve the needs of the society in different sectors, such as: capital formation, large scale of production, industrialization, growth of trade and commerce etc. and banks are contributing a lot of aspect. 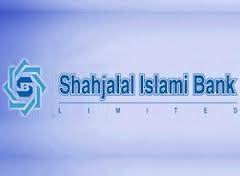 Shahjalal Islami Bank Bangladesh Limited has already emerged as one of the world wide recognized banks due to its retail product management which are part of general banking according to the principles of Islamic Shariah. Islamic banking is a new diminution of interest free banking where ‘Riba’ or interest is strictly prohibited. So I have tried to represent their performance and problems and prospects on the ground of general banking. The main objective of the report is to fulfill the requirement of MBA program. For this I had to attach with an organization and I chose SJIBL. For this I have some practical job related experience with my academic knowledge. The general objective of this report is to complete the internship program and submit a report. As per requirement of MBA program of AsianUniversity of Bangladesh, one student needs to work in a business organization for three months to acquire practical knowledge about actual Business operation. To present an overview of Shahjalal Islami Bank Limited. A general description of the banking activities of Shahjalal Islami Bank Limited. To submit a brief description about the General Banking Department and their activities. To suggest remedial measurement for the improvement of the whole process of the General Banking Department. The report will illustrate a basic reflection about the Shahjalal Islami Bank Limited present condition of the bank in private banking sector, various schemes of SJIBL, interest rate and activities, credit management system of SJIBL etc. Since I am working in the Shahjalal Islami Bank Limited, Mitford Branch, I get the opportunity to gain knowledge of different part of banking system. I got the opportunity to work in all three divisions such as General Banking division, investment division, and foreign exchange division. And from these three different departments or divisions, I hope that I will be capable of doing these types of jobs in the future. The report would be based on an exploratory research paper. Here I would be discussing the consumer credit schemes and credit appraisal procedure of Shahjalal Islami Bank and critically analyze the appraisal procedure with the standard one. Through out the report, I will use different type of research method to find out proper and correct information and also provide a good report. For preparing this internee report I will basically use my experience from different department of the Shahjalal Islami Bank Limited. And I will also use some official documents provided by the officers. For adding more value to this report I will use some books or lecture specialized on the banking sectors. Fruitful conversation with the in-charge of the General Banking department of Shahjalal Islami Bank Limited, Mitford Branch. Experiences gained during performing duties for General Banking department. Discussion with officials of Shahjalal Islami Bank Limited. Annual reports of Shahjalal Islami Bank Limited. Various documents from General Banking department. Brochures of Shahjalal Islami Bank Limited. Different circulars sent by Head Office and Bangladesh Bank. Other published documents credit Scheme. Sufficient records, publications regarding customer service were not available as per requirement. Three-month is not sufficient time to gain practical knowledge and prepare a report. I have no proper experience to do this kind of report. So, inexperience creates obstacle to follow the systematic and logical research methodology. The “Shahjalal Islami Bank Limited” a Shariah Based Commercial Bank in Bangladesd was incorporated as a public limited company as on 1st day of April 2001 under the Companies Act. 1994. The Bank started its commercial operation on May 10, 2001. The Bank has made a significant progress within a very short period of its existence and occupied an enviable position among its competitors after achieving remarkable success in all areas of business operation. The authorized capital of the Bank is Tk. 2,000 million and Paid up capital of the Bank stood at Tk. 1,872 million as on 31 December 2007. The total equity (capital and reserves) of the Bank as on December 31, 2007 stood at Tk. 3,040 million. With a view to materialize the dream of the people of Bangladesh for doing their banking transactions in line with what is prescribed by Islam, a group of highly successful entrepreneurs conceived an idea of floating a commercial bank styled as “Shahjalal Islami Bank Limited” which is named after the name of the renowned saint Hajrat Shahjalal (R) who dedicated his life for the cause of peace in this world and hereafter and for the service of humanity. The sponsors are reputed personalities in the field of trade & commerce, industry and finance. “Shahjalal Islami Bank Limited” offers the full range of banking services for personal and corporate customers, covering all segments of society within the framework of Banking Company Act and rules and regulations laid down by our central bank. Diversification of products and services include Corporate Banking, Retail Banking and Consumer Banking right from industry to agriculture, real estate to software and is backed by the latest technology. The Bank is being managed by a group of highly experienced professionals with diversified experience in finance and banking. The Management of the bank constantly looks after customers’ satisfaction and believes that a satisfied customer is a great Ambassador. The Bank has already achieved tremendous progress within only eight years. The bank has already ranked as one of the quality service providers & is known for its reputation. Offers the full range of banking services for personal and corporate customers, covering all segments of society within the framework of Banking Company Act and rules and regulations laid down by our central bank. By now, the Bank established correspondent Banking relationship with 18 Banks covering their global network of 385 branches/units of International repute at different important locations. It also established accounting relationship with 10 Banks and maintaining 22 NOSTRO Accounts in 8 (eight) major Currencies at different convenient locations. The Board of Directors of our Bank consists of reputed Industrialists and Businessmen who are successful in their respective fields headed by Mr. Sajjatuz Jumma, the founder Chairman of the Board who is an eminent Industrialist & reputed businessman in Bangladesh and current Chairman of Islamic Banks Consultative Forum (IBCF). The Board generally deals with policy matters relating to management of Business and sets goal for the growth & development of the Bank as a whole, review of the same from time to time and gives necessary guidance to the management. The Bank is managed by a Team of professional Executives and Officials having profound banking knowledge & expertise in different areas of management and operation of Banks. The Team is headed by the immediate past Executive President and CEO of Islami Bank Bangladesh Ltd. (IBBL) for about 7 years. During his Incumbency, IBBL attained a remarkable growth & development. Above all, he had the opportunity to hold the position of Chairman of the Board of Directors of Islami General Insurance Company & then he Joined Shahjalal Islami Bank Ltd on February 25, 2004 as the Managing Director and Chief Executive Officer (CEO) to enrich Islamic Banking methodology in the Country. During the short span of time, Shahjalal Islami Bank so far introduced a good number of attractive deposit products to broaden the resource base and also Investment products to deploy the deposit resources so mobilized. Some more schemes covering the deposits, Investments & Services will be introduced gradually in near future suiting to the taste and requirement of the clients. The Bank has a strong Shariah Council consisting of prominent Ulama, Fuquah & Economists who meet periodically to confer decisions on different Shariah issues relating to Banking Operation & to address them and to give necessary guidance to the management on Shariah Principle. Since inception, Bank has been performing in all the sectors i.e. general Banking, Remittance, Import, Export and Investment. All our branches are fully computerized having on line Banking facility for the clients. All activities of the Bank including its products and services are mainly for different economic groups of Bangladesh at home & abroad. Bangladeshi expatriates living abroad in different countries form a strong economic group who contribute greatly towards the economic development of the country. To be the unique modern Islami Bank in Bangladesh and to make significant contribution to the national economy and enhance customer’s trust and wealth, quality investment, employee’s value and rapid growth in shareholders equity. To expand the customer’s innovative service acquiring state-of the-art technology blended with Islamic principles. From time immemorial Banks principally did the functions of moneylenders or “Mohajans” but the functions and scope of modern banking are now a days, very wide and different. They accept deposits and lend money like their ancestors, nevertheless, their role as catalytic agent of economic development encompassing wide range of services is very important. Business commerce and industries in modern times cannot go without banks. There are people interested to abide by the injunctions of religions in all sphere of life including economic activities. Human being is value oriented and social science is not value-neutral. Shahjalal Islami Bank believes in moral and material development simultaneously. “Interest” or “Usury” has not been appreciated and accepted by “the Tawrat” of prophet Moses, “the Bible” of prophet Jesus and “the Quran” of Hazrat Muhammad (sm). Efforts are there to do banking without interest Shahjalal Islami Bank Limited avoids “interest” in all its transactions and provides all available modern banking services to its clients and wants to contribute in both moral and material development of human being. No sustainable material well-being is possible without spiritual development of mankind. Only material well-being should not be the objective of development. Socio-economic justice and brotherhood can be implemented well in a God-fearing society. To conduct interest-free and welfare oriented banking business based on Islamic Shariah. To implement and materialize the economic and financial principles of Islam in the banking arena. To contribute in sustainable economic growth. To earn and maintain a ‘Strong’ CAMEL Rating. To maintain adequate liquidity to meet maturing obligations and commitments. To strive for customers’ best satisfaction and earn their confidence. To identify customers’ needs and monitor their perception towards meeting those requirements. To train and develop all employees and provide them adequate resources so that customers’ needs are reasonably addressed. To diversify portfolio both in the retail and wholesale markets. General banking department is one of the most important departments of Shahjalal Islami Bank Limited. Basically bank provides the main services to the customer through this department. In general this section of the Shahjalal Islami Bank Limited is divided into five sections. Banking business consists of borrowing and lending, Bank act as an intermediary between surplus and deficit economic units. Thus a banker is a dealer in money and credit. Banks accept deposit from large number of customers and then lend a major portion of the accumulated money to those who wish to borrow. In this process banks secure reasonable return to the savers, make funds available to the borrowers at a cost and earn a profit after covering the cost of funds. Banks, besides their role of intermediation between savers and borrowers and providing an effective payment mechanism, have been allowed to diversify into many new areas of better paying business activities. Credit Rating Information and Services Limited (CRISL) upgrades the rating of Shahjalal Islami Bank Limited(SJIBL) to A+ (pronounced as single A plus) from A (pronounced as single A) in the Long Term and reaffirms short term rating to ST-2. With a view to providing financial assistance to the poor and needy people of the society and also for the welfare of the community, to this perspective, bank has established “Shahjalal Islami bank Foundation” with the objective to provide health care, relief and rehabilitation, education, humanitarian of winter clothes during the winter etc. The foundation have also drawn up programs to look after the education, health and medical requirements of all the people of rural areas where the bank has launched Rural Investment Programs with vision 2020. The foundation already introduced a program to reward poor student who passes SSC and HSC exam. Students who are not financially sound, the foundation gives financial assistance to them. The bank has started it from 2006 under these project 111 poor and meritorious students awarded by monthly scholarship and lump sum money at yearly basis. This will motivate students to do better in future. The bank appreciates the good things in the society. Islami Bank is a financial institution whose status, rules and procedures expressly state its commitment to the principle of Islamic Shariah and to the banning of the receipt and payment of interest on any of its operation. For millions of Muslims, banks were institution to be avoided. Islam is a religion, which keeps Believers from the tellers’ window. Their Islamic beliefs prevent them from dealings that involve usury or interest (Riba). Yet Muslim needs banking services as much as anyone and for many purposes: to finance new business ventures, to buy a house, to facilitate capital Investment to undertake trading activities and to offer safe place for saving. Muslims are not averse to legitimate profit as Islam encourages people to use money in Islamic ally legitimate ventures not just to keep their funds idle. However in this fast moving world more than 1400 years after the Prophet (S.A.W) can Muslims find room for the principles of their religion? The answer comes with the fact that a global network of Islamic banks investment house and other financial institution have started to take shape based on the principals of Islamic finance laid down in the Quran and the Prophet’s traditions some 14 centuries ago. Islamic banking based on the Quranic prohibition of changing interest has moved from a theoretical concept to embrace more than 100 banks operating in 40 countries with multibillion-dollar deposits worldwide. Islamic banking is widely regarded as the fastest growing sector in the Middle Eastern financial services market. Exploding onto the financial scene barely thirty years ago an estimated $US100 billion worth of funds are now managed according to Shariah. The best-known feature of Islamic Banking is the prohibition on interest. The Holy Quran forbids the charging of ‘Riba’ on money lent. It is important to understand certain principles of Islam that underpin Islamic finance. Muslim scholars accepted the word ‘Riba’ to mean any fixed or guaranteed interest payment on cash advances or on deposits. a) The predetermined payment over and above the actual amount of principal is prohibited. b) The lender must share in the profits or losses arising out of the enterprise for which the money was lent. d) Ggharar (Uncertainty, Risk or Speculation) is also prohibited. e) Investment should only support practices or products that are not forbidden. To establish welfare oriented Banking System. To extend operation to the poor, helpless and low income group for their economic enlistment. To facilitate the Islamic banking system in the country. To create new entrepreneurs and to arrange required finance them. Islamic Banking comes into reality through a long theoretical exercise of several renowned Islamic scholars and economists. The first attempt to establish an Islamic financial institution took place in Pakistan in 1950. In the modern world, the pioneering role in establishing the first Islamic Bank in 1963 named ‘Mit- Ghamar’ Saving Bank in Egypt at rural area of Nile Delta. As on today, there are many Islamic financial institutions operating through out the world covering both Muslim and non-Muslim countries of various socio-economic environment. The first Islamic bank in Malaysia was established in 1983. In 1993, commercial banks, merchant banks and finance companies were allowed to offer Islamic banking products and services under the Islamic Banking Scheme (IBS). These institutions however, are required to separate the funds and activities of Islamic banking transactions from that of the conventional banking business to ensure that there would not be any co-mingling of funds. The modes of mobilization in Islamic banks have derived from the overall permissible contracts in Islam. In what follows we fast describe the concept of Aqd or contract form business perspective and then discuss the legitimate forms contracts that can be used in Islamic banks for both deposit collection and their profitable employment. All Islamic banks operate current account on behalf of their client individuals and business firms. These accounts are operated for the safe custody of deposits and for the convenience of customers. There is little different between conventional banks as far the operation of current accounts is concerned. There are two dominant views about current account. One is to treat demand deposit as amnah (trust). A trust deposit is defined by the Jordan Islamic Banks as “cash deposits received by the bank where the bank is authorized to use the deposits at its own risk and responsibility in respect to profit or loss and which are not subject to any conditions for withdrawals or depositing”. Savings accounts are opened with the condition that deposits provide the bank with an authorization to invest. Depositors have the right to deposit and withdraw funds. The profits in savings accounts are calculated on the minimum balance maintained during the month. Depositors participate in the profits of savings accounts with effect from the beginning of the month following the month in which the deposits are made. Profits are not calculated with effect from the beginning of the month in which a withdrawal is made from the account. A minimum balance has to be maintained in order to qualify for a share in profit. Fixed term deposits in the conventional system operate on the basis of interest while investment accounts in Islamic banks operate on the basis of profit sharing Instead of promising depositors a predetermined fixed rate of return on their investment the bank tells them only the ratio in which it will share the profits with them. While fixed term deposit are usually distinguished from each other on the basis of their maturities investment deposits can be distinguished on the basis of maturity as well as on the basis of purposes as it is possible to give special instructions to the bank to invest a particular deposit in a specified project or trade. Deposit holders do not receive any interest. Instead they participate in the share of the profits or losses. Usually these accounts are opened for a specific period e.g. three months, six month, one year or more. The return on investment is determined according to actual profit s from investment operations of the bank and shared in an agreed proportion by depositors according to the amount of their deposits and the period for which the bank holds them. Generally speaking depositors do not have the right to withdraw from these accounts as is customary in time deposits in conventional banks. Islamic banks around the world have devised many creative financial products based on the risk sharing and profit sharing principles of Islamic banking. For day to day banking activities a number of financial instruments have been developed that satisfy the Islamic doctrine and provide acceptable financial returns for investors. The division of profits between the two parties must necessarily be on a proportional basis and cannot be a lump sum or guaranteed return. The investor is not liable for losses beyond the capital he has contributed. The mudarib does not share in the losses except for the loss of his time and efforts. This is the sale of a commodity at a price, which includes a stated profit, which includes a stated profit known to both the vendor and the purchaser. This can be called a cost plus profit contract. The buyer in deferred payments usually pays the price back. Under Murabaha the Islamic bank purchases in its own name, goods that an importer or a buyer wants and then sells them to him at an agreed mark-up. This technique is usually used for financing trade, but because the bank takes title to the goods, and is therefore engaged in buying and selling its profit derives from a real service that entails a certain risk and is thus seen as legitimate. This is a partnership normally of limited duration formed to carry out a specific project. It is therefore similar to a western- style joint venture, and is regarded by some as the purest from of Islamic financial instrument, since it conforms to the underlying partnership principles of sharing in and benefiting from risk. In this case the bank enters into a partnership with a client in whom both share the equity capital and perhaps even the management of a project or deal and both share in the profits or losses according to their equity shareholding. Another popular instrument is leasing which is designed for financing an asset or equipment. It is a manfaah (benefit) or the right to use the asset or equipment. The lessor leases out an asset or equipment to the client at an agreed rental fee for a pre-determined period pursuant to the contract. Equivalent to the leasing and installment loan, hire- purchase, practices that put millions of drivers on the road each year. These techniques as applied by Islamic banks include the requirement that the leased items be used productively and permitted by Islamic law. This technique allows a bank to flat what are effectively Islamic bonds to finance a specific project. Investors who buy muqaradah bonds take a share of the profits of the project being financed, but also share the risk of unexpectedly low profits or even losses. A buyer pays in advance for a specified quality of a commodity, deliverable on a specific date at an agreed price. This financing technique, similar to a futures or forward- purchase contract is particularly applicable to seasonal purchase but it can also be used to buy other goods in cases where the seller needs working capital before he can deliver. This is a sale and purchase agreement whereby the seller undertakes to manufacture or construct according to the specification given in the agreement. It is similar to bai salam the main distinction being the nature of the asset and method of payment. Istisna generally covers those things which are customarily made to order and advance payment of money is not necessary as required in bai salam. The method of payment in istisna is flexible. The terms ‘Bai’ and ‘Muajjal’ have been derived from Arabic words ‘Bai’ and ‘Ajl’. The word ‘Bai’ means purchase and sale. The word ‘Ajl’ means fixed time or a fixed period. ‘Bai-Muajjal’ means sale for which payment is made at a future fixed date or within a fixed period. In short, it is a sale on credit. ‘Bai-Muajjal’ may be defined as a contract between a buyer and seller under which the seller sells specific goods to the buyerat an agreed fixed price payable at a certain fixed future date in lump sum or within a fixed period by fixed installment’s. Shirkat means partnership. Shirkatul Melk means share in ownership when two or more persons supply equity to purchase an asset own the same jointly and share the benefit as per agreement and bear the loss in proportion to their equity, the contract is called Shirkatul Melk contract. It is a virtuous loan. Through this mode, Bank provides loan to its customer for a certain period, which bears no profit/loss/compensation. Islamic Bank without the help/assistance of any client may directly invest its fund/capital in share, securities, business and industry. Profit and loss in this business is exclusively, the internal matter of the Bank. The concepts of equity and morality are at the root of Islamic banking .In Islam moral and equitable values from an integral part of the rules of law governing contractual and financial relations to such an extent that the relationship, which exists between equity law and relation, is an organic rather than supplementary relationship. The importance of Islamic banking has increased dramatically over the past 10 years. The main differences between Western and Islamic style banking is the concentration on people and their businesses rather than on accounts it is a much more grass roots banking according to one expert. This branch was established 9th September,2001. It is situated at 173-174 Mitford road, Dhaka-1100. It has been providing Islamic banking services for the customers of Mitford area. To provide Islamic banking service to the people within the commanding area. To expand business based on Islamic Shariah. To keep position in the competitive market. Shahjalal Islami Bank Limited accepts deposits on the basis of Mudaraba in the following types of accounts, and pays profit, like that of dividend in these accounts, except AL-Wadiah Current Account. Average 70% of profit earned by the bank is distributed proportionately among depositors annually. 8. Istisna (purchasing of industrial products while in production and providing advance money to the producers). SJIBL VISA Debit Card: To a customer, “My card, my money” concept is used for Debit Card. Any accountholder of SJIBL can apply for a SJIBL VISA Debit Card against his/her Al-Wadiah Current Deposit (AWCD), Mudaraba Savings Deposit (MSD) or Mudaraba Short Notice Deposit (MSND) Account. He/she is fully authorized to enjoy the benefits of cash withdrawal from ATMs, liberty of shopping, dining, paying utility bills and having access account information through SMS, etc. round the clock. SJIBL VISA Prepaid Card (Local): SJIBL VISA Prepaid Local Cards are open to the customers even having no account with Shahjalal Islami Bank Limited. Cardholders can have the card against prepayment and have access from anywhere in Bangladesh. SJIBL VISA Prepaid Local Cards are accepted locally at all VISA labeled merchant outlets, ATMs, etc. SJIBL VISA Prepaid Card (International): SJIBL VISA Prepaid International Cards are also open to the customers even having no account with Shahjalal Islami Bank Limited. Cardholders can have the card endorsing US Dollar paying against Travel Quota, Exporters Retention Quota or marking Lien of his/her FC Account. SJIBL VISA Prepaid International Cards are accepted world wide at all the VISA labeled merchant outlets, ATMs, etc. SJIBL VISA Prepaid Card (Dual): The Dual Card is a hassle free product, no need to carry two separate plastic cards for local and international card. Now, with one plastic card the Cardholders can enjoy all the benefits and make transactions locally & globally from their Prepaid card account at all the VISA labeled merchant outlets, ATMs, etc. SJIBL VISA Souvenir Card (Gift Card – Local): SJIBL Souvenir Card is a very attractive and stylish product. Like a Gift Card, SJIBL Souvenir Card can be used by anyone wishes to. The intending customer may have the card instantly or may customize the card as required. The SJIBL Souvenir Cards are accepted locally at all the VISA labeled merchant outlets, ATMs, etc. Welcome to the convenience of accessing your banking needs from anywhere anytime. Shahjalal Islami Bank again fulfilled the demand of time in the era of modern banking technology by introducing the Mobile banking i.e. SMS / Push Pull Service. We offer a range of ways for you to access and manage your money. Mobile Banking is a secured & flexible solution that delivers the banking services to its customers through a range of mobile devices using SMS / Push Pull technology. It provides banking services to the registered clients access to account information and real-time transaction capabilities from the mobile phones at a true “Anywhere, Anytime, Anyhow” convenience. As a leading private sector bank in Bangladesh the Shahjalal Islami Bank Limited presents the Mobile banking i.e. SMS / Push Pull service. Grameen Phone subscribers availing the service to pay their bills, advances, security deposit and other related charges through all branches of Shahjalal Islami Bank Limited. Just go to a Shahjalal Islami Bank Limited branch anywhere in Bangladesh offering Western Union Money Transfer. Thensimply fill a form and collect your money. Shahjalal Islami Bank Limited is a member of the society for Worldwide Inter Bank Financial Telecommunication (in abbreviation S.W.I.F.T). SWIFT is the industry-owned co-operative supplying secure, standardized messaging services and interface software to nearly 8,100 financial institutions in 207 countries and territories. SWIFT members include banks, broker-dealers and investment managers. The broader SWIFT community also encompasses corporate as well as market infrastructures in payments, securities, treasury and trade. Financial institution/ intermediary that mediates or stands between ultimate borrowers and ultimate lenders is knows as banking financial institution. Banks perform this function in two ways- taking deposits from various areas in different forms and lending that accumulated amount of money to the potential investors in other different forms. General Banking is the starting point of all the banking operating. General Banking department aids in taking deposits and simultaneously provides some ancillaries services. It provides those customers who come frequently and those customers who come one time in banking for enjoying ancillary services. In some general banking activities, there is no relation between banker and customers who will take only one service form Bank. On the other hand, there are some customers with who bank are doing its business frequently. It is the department, which provides day-to-day services to the customers. Every day it receives deposits from the customers and meets their demand for cash by honoring cheques. It opens new accounts, demit funds, issue bank drafts and pay orders etc. since bank in confined to provide the service everyday general banking is also known as retail banking. To ensure security of preaches wealth of the clients and also for all other important activities. One cannot be a customer of the bank without opening an account. Account opening is an agreement between the customer and the bank. The form of account opening acts as a contract evidence. So account opening is one of the most important activities of a bank. The rules and regulations for opening of an account can vary according to types of accounts. For private, individuals, merchants, traders, importers and exporters mill and factory overset this type of account is advantageous. The minimum deposit of Tk.5000 for opening of a current account is required with reference. Statement of account on monthly basis/any time. Any number of transactions a day. There is restriction on withdrawals. Frequent withdrawal is prohibited. The saving account is primarily for small-scale savers. The main objective of this A/C is promotion of saving money. Minimum amount of Tk.2000.00 is required as initial deposit. When an account of cash is kept in the bank for a fixed period of time these deposits cannot withdraw money from the bank before the maternity of a fixed period. When the depositors open these types of account the banker issue a receipt acknowledging the receipt of money, on deposit account. For three and six and twelve months the rate of interest is 12.5%, 12.75%, and 13% respectively. It is a monthly income scheme that really makes good sense. A sure investment for a steady return. Minimum deposit TK, 50,000.00 and profit will be TK, 450.00. The depositors have to fill up forms for opening this account. The receipt, which is provided by the bank to the customers, is not transferable. The Bank will not provide profit to means if this deposit is withdrawer within one year of opening the account. Investment leads a country to industrialization. But saving is the main source of investment. Without saving a country cannot build up capital. For this reason saving is called the skeleton of development. This is a nine years deposit, which increases the deposit more than triple. Shahjalal Islami Bank offers mudaraba multiple savings by creating more conscious and encouraging people to save. Hajj deposit at monthly installment from 1(one) year to 25 (twenty five) years are accepted under the above scheme to enable the account holder to perform hajj out of the accumulated saving with profit. First a customer has to submit an application with his/her signature mentioning that he/she wants to close his/her A/C. Then the signature will be verified by the officer. Customer has to certify by different department (Advance, Foreign Exchange department) of Bank that he/she has no liabilities to the Bank. After that the Customer’s A/C is debited and then Bank issues a Pay Order in the name of A/C holder. Customer has to submit an application mentioning that he/she wants to transfer his/her A/C to his desired Branch and the officer will verify the signature, Customer has to be certified by different department of Bank that he/she has no liabilities to the bank. Then total particulars of A/C holder will prepare and sent to the Customer’s desired branch. Liability of Recognizer is secondary and account holder is primary. After fulfilling all the requirements for opening account necessary entries are given in the account opening register. There are several registers for several accounts as MSD, ACD, SND, MDS and MTDR etc. Date of opening name of the account holder, nature of business, address, initial deposit, and introduction, and various information’s are recorded in that register. New accounts number is given from the list of new numbers provided by the computer department. Cheque book is issued to the new customer after opening account. Two separate cheque books are given for current and saving accounts. AWCA accounts Cheque book consists 25 and 50 leafs, while MCA account Cheque book has 10 leafs. There is a cheque book issue register in this regard; where Cheque book number, leaf number, date of issue etc. information are kept. All the necessary numbers are the sent to the computer department to give entry in the program. As far safety is concerned customers get crossed check for the transaction. As we know crossed check cannot be encased from the counter rather it has though been collected through banking channel i.e. clearing. A client of SJIBI received a check of another bank, which is located within the clearing range deposit, the checks in account at SJIBL New SJIBL will not the money until the check is honored. Transfer delivery is a Cheque collection procedure among internal branches within the Clearing House. When a Cheque is deposited to another Branch Office, then collecting branch on that date send the Cheque to their Local Office, finally send that Cheque to the respective branch and takes necessary action for honoring Cheque. If the Cheque is dishonored then authorized branch send the Cheque to the local office and Local Office send that Cheque to the collecting branch on the collecting date. Here Clearing house function is not required because transactions occur among the same bank between several branches. Customers deposit cheque, draft etc for collection attaching with their deposit receipt. Instrument within the range of clearing are collected through local clearing house but the other which are outside the clearing range are collected through OBC mechanism. A customer of SJIBL principal branch local office Dhaka is depositing a check of Sonali Bank Cox’s‑Bazar. SJIBL local office principal branch crossing indicating them as collecting bank. Endorsement give payees A/C will be credited on realization. Entry on register from where a controlling number is given. Entry in the IBC register, IBC number given. Endorsement given‑ “our branch endorsement confirmed”. I have started my internee with responsibility of Customer Service Officer. I was assigned to work with account opening department. In a whole day I have to open more than 10 accounts. Customer account opening is a lengthy process. If the customers have the documents that she/ he is needed to open that particular; he or she must fill an account correctly. If there is any problem found in the fulfillment of the form is wrongly filled, the form will be return on next day. So the form must be filled correctly. If all the things are right, the CSM give the permission to open the account. They have to fill up a KYC (Know Your Customer) from to have more idea about the customer. The main purpose of this from is to give all necessary information regarding the account, like the charges, benefits and if any specific inquiry the customer ideas. I have worked total more than 7 days in this section. The main responsibilities was received several cheques from their clients. I also attached in the front side of the cheque clearing seal and at the back side endorsement seal. My responsibility to ensure account number, account holder name, which bank’s cheque etc. After confirming this I sent this cheque to my boss. He was responsible for completing the other tasks. Account opening requirements, DPS related information, FDR information, some type of loan facilities different type of debit card related queries and their benefits. Give instruction for address change, signature change, and mandate instruction, nominee change, and account closing information, DPS closing information, FDR closing formalities, pay order, document issue and all type of queries. I also gave information of western union money transfer. I used to give information, like from which country the money can be sent and in which banks money can be received. I usually tell about the formalities or requirements to be maintained to receive the money. How to open their several account in their bank? What are the requirements for opening their account? How to provide information to their client? How clients can gather their account statement and know to balance? What are the procedures to close an account? How cash sections provide the service to their clients? How clearing house operates their operation? I was not well informed about PO but after the completion of internship program the mechanism of this has been clear to me. How to prepare different company’s salary sheet by using their software? Finally, I learned how to prepare an internship report? Money counting machine for making cash transaction easy and prompt. In SJIBL Bank SWIFT is being used for foreign trade related operations like letter of credit, fund transfer, guarantee, etc with optimum security. SJIBL has a well-diversified pool of human resources, which is composed of people with high academic background. Also, there is a positive demographic characteristic- most employees are comparatively young in age yet mature in experience. SJIBL provide ATM debit card and nonstop banking facilities. Structural set up and business location is strategic. Bank is very alert to preserve the asset quality of the bank. Continuous training both at home and abroad is going on develop the skill of human resources. Absence of an upgraded website. Sometimes the Customer Service Officers were so busy that it creates delay to the customer service. And at the end of the day the closing is also delayed. Regulatory environment favoring private sector bank. Technical support to small Scale industries (SSI) in order to enable them to run their enterprises successfully. Besides, the Bank is to provide full range of commercial banking services. Number of potential competitors in home and abroad is increasing day by day. Restless political condition in Bangladesh, such as Strike threats the prosperity of Bank. Market pressure for lowing Profit rate. The bank must be bound to follow the rules of central Bank. While working on Shahjalal Islami Bank Limited, Mitford Branch, I have attained a newer kind of experience. After collecting and analyzing data I have some findings. These findings are completely my personal view to research work. This bank started on-line service newly. As a resulted customers are not getting the full service by the on-line service. Sometimes they have to face problem with on-line account.
. General Banking Division is an efficient department. They are very much prompt to give decision to their valued client. They never keep any things pending. The employees of the bank cannot provide effective and efficient services to the customers because of lack of UPS facility & Load-shedding. The number of human resources in the Computer section is really insufficient to give services to huge number of customers. Shahjalal Islami Bank Limited has also shortage of efficient management information system. I have the practical experience in SJIBL for only three months. Shahjalal Islami Bank Ltd introduces a new dimension of business among the local bank in the financial market of Bangladesh in Retail Product Management. But in the complex business environment and diversified business world these products cannot meet the customer needs. Today, customer classes are vibrant and it is difficult to keep the customers without an appropriately designed and also is not properly market driven. Developing a market driven product management system is essential for any company if the company would like to win the competitive condition and would like to survive in futuristic competitive market setting. In this regard, following specific recommendations are forwarded for the development of product management of Shahjalal Islami Bank Ltd.
Officials whom are involved in Customer Services should be more trained properly. Because some time they cannot give proper suggestions to the customer queries. Though they try to give their best. Last but not the list, the employees must be motivated when they do something good and creative. Shahjalal Islami Bank Ltd, Mitford branch is one of the most potential Islami banks in the Islami banking sector. It has a large portfolio with huge assets to meet up its liabilities and the management of this bank is equipped with the expert bankers and managers in all level of management. So it is not an easy job to find out the drawbacks of this branch. But the branch needs more employees for its substantial growth. I would rather feel like producing my personal opinion about the ongoing practices in Mitford Branch. Shahjalal Islami Bank limited is a leading Private Islami bank in Bangladesh with superior customer bases that are loyal, faithful, worthy towards the bank. The service provided by the young energetic officials of the Shahjalal Islami Bank Limited is very satisfactory. As an Islami bank SJIBL has to follow the rules of Bangladesh bank despite the fact that these rules sometime restrict the foreign business to some extent. During my internship in this branch I have found its General Banking, Investment department & foreign exchange department to be very efficient; therefore this department plays a major role in the overall profitability of the branch and to the Bank as a whole. The Bank’s drive towards market leadership as well as quality in choosing business will continue in the coming years although competition is intensified with the opening of more financial institutions. The Bank is optimistic that the volume of business will increase in future through pragmatic and market friendly policies. The Bank shall continue to explore new Branches for Banking. We shall endeavor to adopt customer-oriented policies and introduce new techniques that will help to earn profit and increase greater confidence of the existing/ prospective customers. If Shahjalal Islami Bank Ltd, Mitford Branch adopts professionalism within the frame work of Shariah, they will be able to earn handsome “Halal Profit” and higher return to the depositors and share holders. Ultimately, public will get more confidence on this type of Banking. Prospectus of Shahjalal Islami Bank Limited. Annual Report 2011 of Shahjalal Islami Bank Limited.